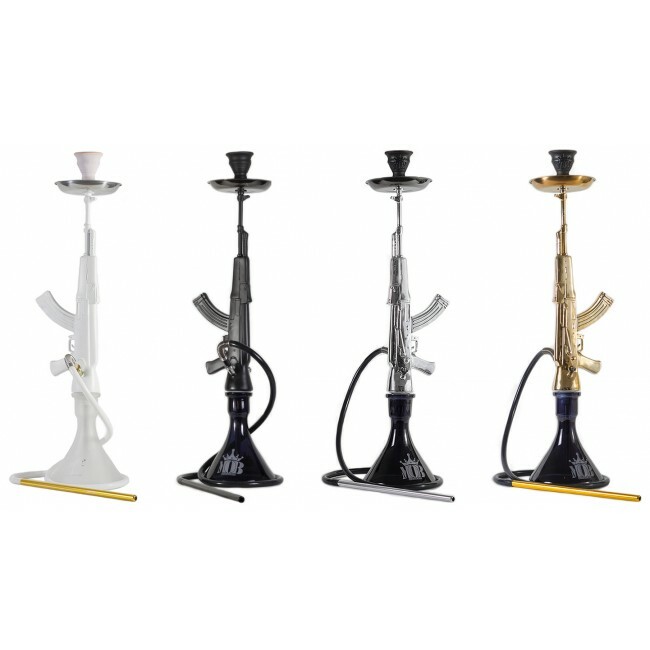 The AK-47 by MOB Hoookah is for those hookah lovers with a little drama. The AK-47 comes with an original egyptian clay bowl and a washable hose. 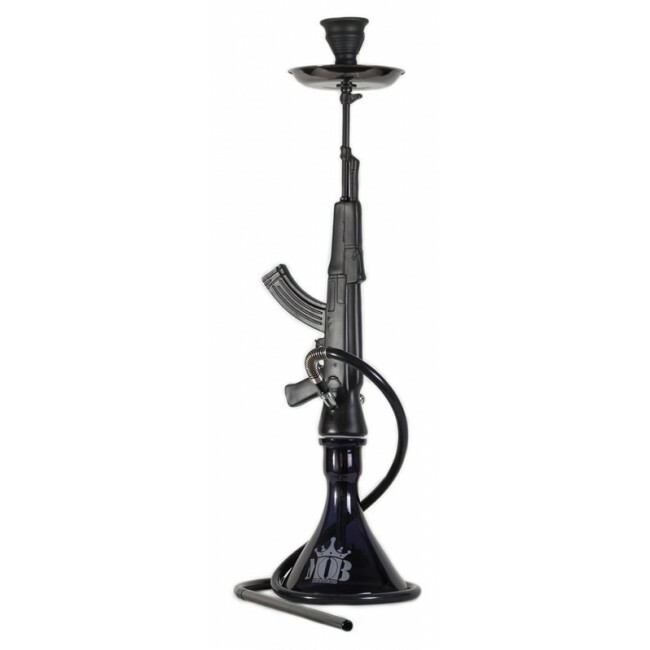 MOB Hookah proudly presents the ONE and ONLY MOB AK-47 Hookah... 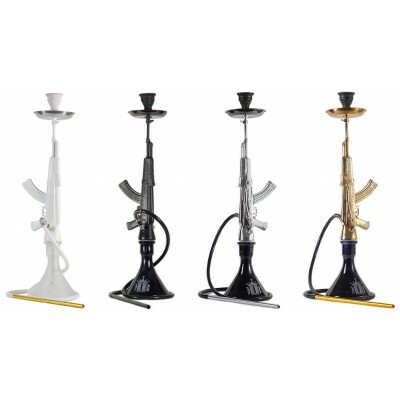 The MOB AK47 Hookah stands tall and steady with its wide base and solid metal stem. 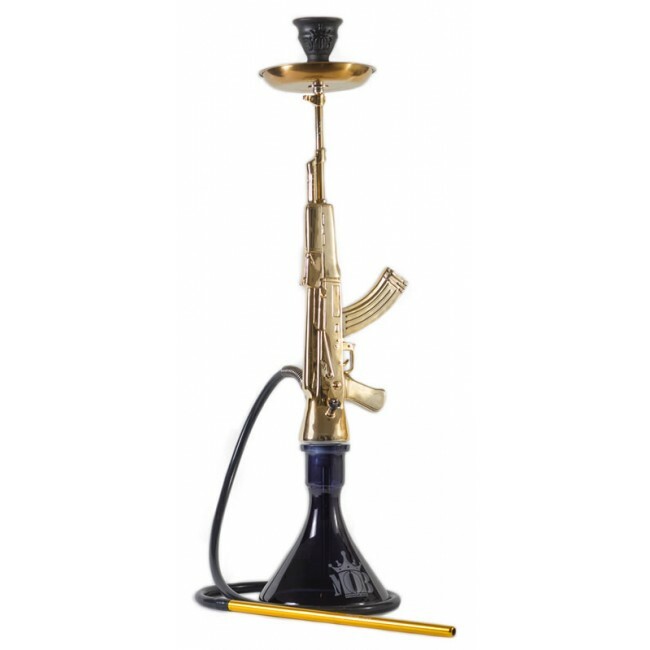 The AK47 MOB Hookah does not only look super-special but smokes like a champ. The unique design of the waterpipe makes it an eyecatcher for all occasions. The MOB AK-47 comes with a silicone hose, a clay bowl and all other accessories to get you to battle. Ist es möglich 2 Schläuche anzuschließen ?